Legends don’t get old: they evolve. This is why 500 has renewed its exterior, interior and technology. Because it’s true, perfectionists are always in search of a new kind of perfection. 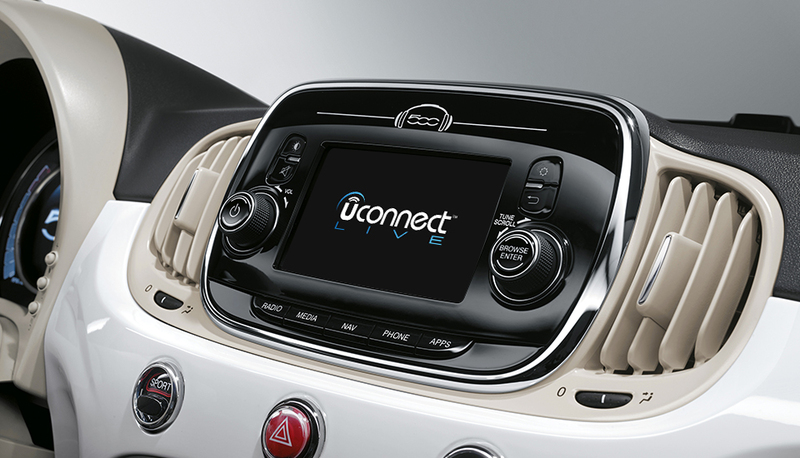 Journeys are more enjoyable with your favourite tunes: on board the 500 you get Uconnect Radio, a simple but comprehensive sound system with AM/FM tuner, USB/AUX inputs and steering wheel controls. So connect your devices and listen to all the music you want, however you want. Worried about hill starts? Pulling away smoothly is even easier with the 500, including on inclines, thanks to the Hill Holder function, which helps by preventing the vehicle from rolling backwards.